At Pest & Predatory Control Services, we respond quickly to each call out and resolve your pest problem in a professional manner. We have successfully developed a range of pest control techniques and practices to protect your health, food and property in the most effective and environmentally responsible way possible. All pest control treatments and processes are completed by fully trained, time served pest controllers who make every effort to ensure each treatment is thoroughly completed, helping to limit any repeat treatments to an absolute minimum where necessary. We strive to provide an excellent pest control service for all customers, be them commercial, agricultural or domestic. Working hard to provide an honest and dependable pest control service, we take great pride in the number of new pest control contracts acquired through positive word of mouth and customer recommendation. 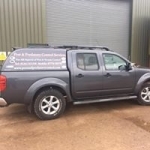 Unlike other pest control companies in Norfolk, all treatments are carried out to the strictest of standards, in full alignment with all legislative requirements.